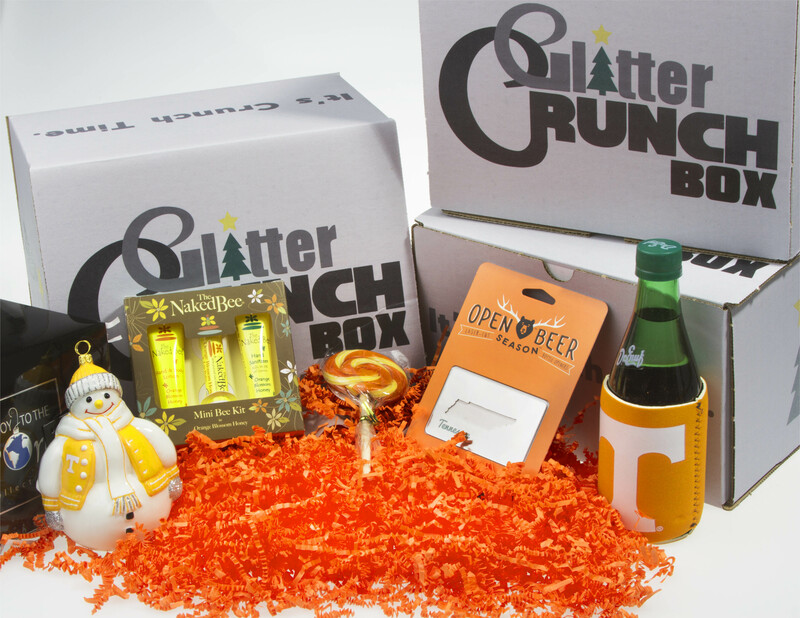 This is an exclusive University of Tennessee Glitter Crunch Box! You will receive a Joy To The World Collectibles UT Snowman ornament, a Naked Bee travel kit, a Dr. Enuf with UT koozie, a Tennessee metal bottle opener by Zootility, and a Hammond's Candies lollipop. 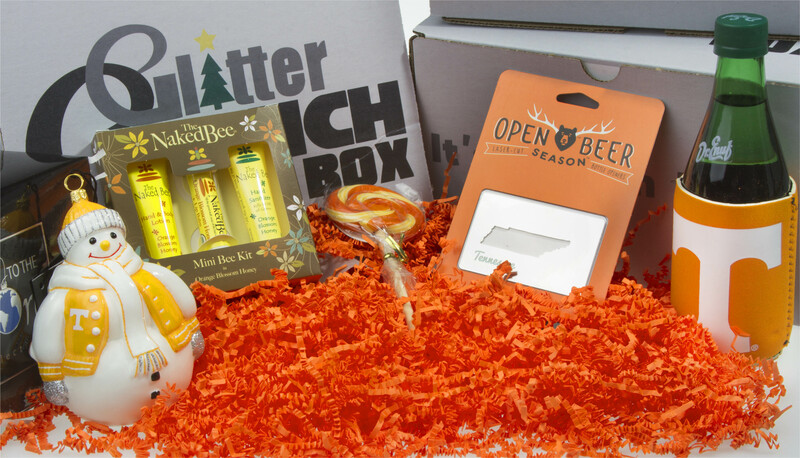 We set out to create a subscription box program like no other. We designed a program to appeal to our loyal followers, but also be a wonderful and easy gift to send to those on your list who love the holidays, too. Limited Quantities.